Hot new trend Legwarmer Leggings! 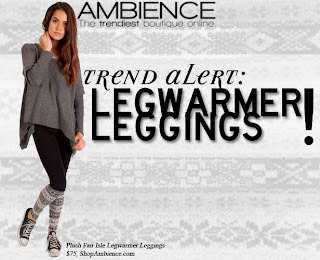 Plush Fair Isle Legwarmer Legging looks amazing and adds a bit of fun to your legging look. They look amazing with your favorite flats or booties, oversize sweater and the new Plush Fleece Lined Knit Hat w/Brim and you will have an urban chic look instantaneously.